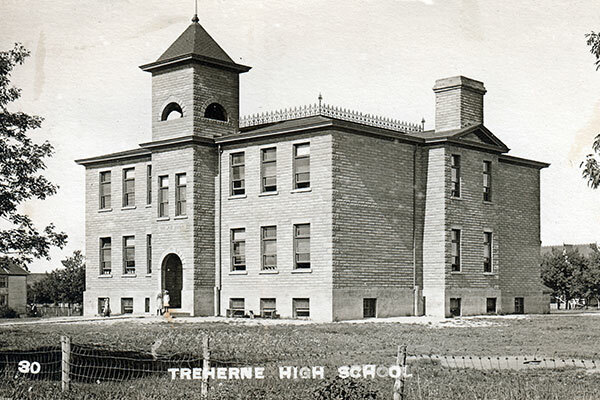 The West Treherne School District was organized formally in March 1888 and a school building was erected in Treherne, in what is now the Municipality of Norfolk Treherne. 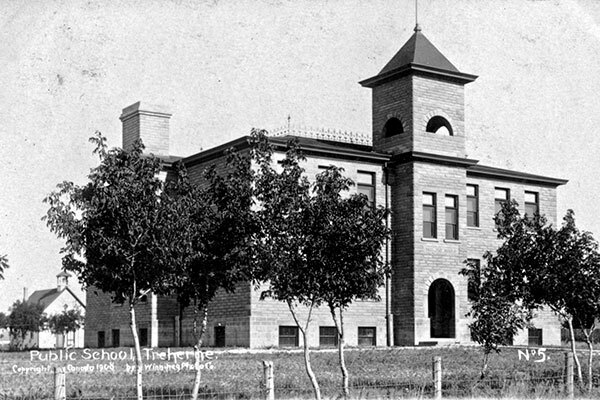 In 1891, it was replaced by a two-storey wood structure then, in 1906, by a two-storey, brick building designed by Winnipeg architect Samuel Hooper, near the site of the Treherne Cenotaph. This building was destroyed by fire on 17 June 1958. 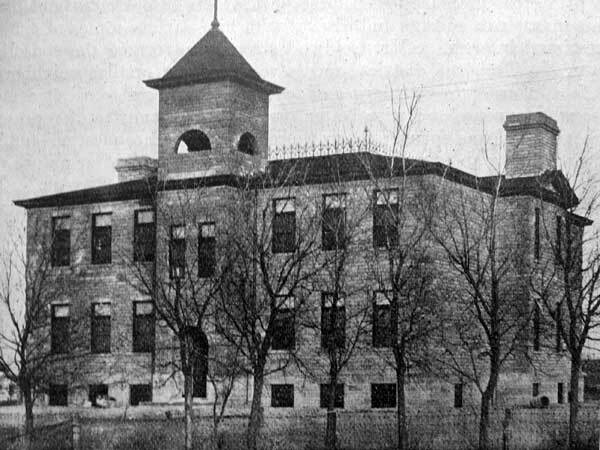 The school fire led to renewed consideration of school consolidation, and local electors subsequently approved amalgamation of their district with several from the surrounding countryside: Louise School No. 116, East Treherne School No. 298, Cassandra School No. 445, Centreville School No. 606, Boyne Creek School No. 620, Wilson Glen School No. 713, Arbroath School No. 796, McCreery School No. 797, Pinkerton School No. 1074, and Matchettville School No. 1342. While a new school building was constructed, classes were held at various places around Treherne, including the Masonic Hall, Legion Hall, Fumerton’s Hall, old post office building, and the old movie hall. Later, the building of Cassandra School was moved into town and used as a classroom. The new school opened in September 1962. Some of the teachers who taught at West Treherne School: George B. Wilson and Dorothy Irene Madill Hudson. Tiger Hills to the Assiniboine: A History of Treherne and Surrounding District by Treherne Area History Committee, 1976, pages 38-40. We thank Andrew Cunningham and the office staff of the RM of South Norfolk for providing additional information used here.